Mashrafe Mortaza will lead a settled and balanced Bangladesh side. Mashrafe Mortaza (c), Shakib Al Hasan (vc), Liton Das, Mohammad Mithun, Mushfiqur Rahim (wk), Mahmudullah, Tamim Iqbal, Soumya Sarkar, Mohammad Saifuddin, Abu Jayed, Mustafizur Rahman, Rubel Hossain, Mehidy Hasan Miraz, Sabbir Rahman and Mosaddek Hossain. Mashrafe, Shakib, Mushfiqur, Mahmudullah, Tamim, Soumya, Sabbir and Rubel return from the 2015 Cricket World Cup squad. It is a squad that depends heavily on the experience of Mashrafe, Shakib, Mushfiqur, Tamim, and Mahmudullah. All five of them have appeared together for Bangladesh in more than 100 matches, and are experienced leaders in their own right. It is also a squad that seemingly has every base covered, but still has a few questions over it. Tamim Iqbal will open the innings, but who opens alongside him is yet to be decided. Liton Das impressed with a century against India in last year's Asia Cup final but has been inconsistent otherwise. Imrul Kayes had an excellent series against Zimbabwe last year but has not been considered. Liton Das also travels as wicket-keeping cover for Mushfiqur Rahim, while Mosaddek Hossain covers as batting all-rounder for Mahmudullah, who is dealing with a right shoulder injury. Mosaddek also impressed in the recent Dhaka Premier League with 428 runs. Shakib Al Hasan and Mehidy Hasan Miraz are the primary spin-bowling options in the lineup, with much expected of Shakib in terms of runs and leadership as well. 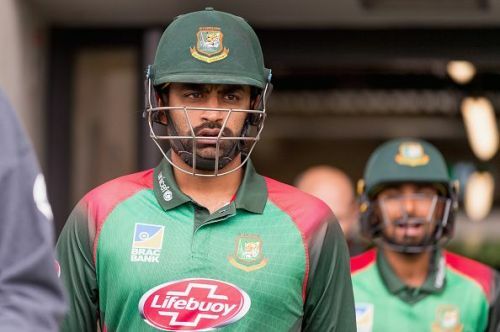 Tamim Iqbal will be looking to continue his good form in England. Mashrafe, Mustafizur, and Rubel form the pace-bowling contingent, with all of them expected to play every match - subject to form and fitness. Mustafizur is currently recovering from an ankle injury but is expected to recover in time for the World Cup. Abu Jayed and Mohammed Saifuddin travel with the team as backup options for the fast bowlers. Saifuddin also provides batting depth if needed. 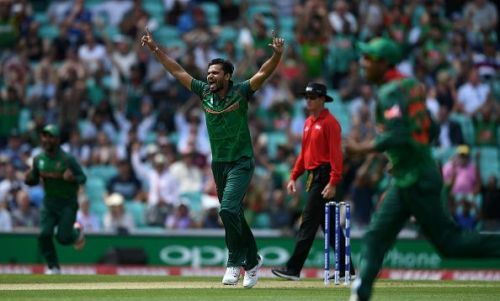 Bangladesh have an advantage over other teams as they have a tri-series against Ireland and West Indies, in addition to the official warm-up matches, to test out different combinations and identify their best playing XI. Finding an opening batsmen to complement Tamim Iqbal and a No. 7 batsman in either Soumya Sarkar or Sabbir Rahman, are two things they would like clarity on closer to the World Cup. Prediction: As of now, it seems Bangladesh will be competing for a semifinal spot with South Africa, Pakistan, West Indies and New Zealand.